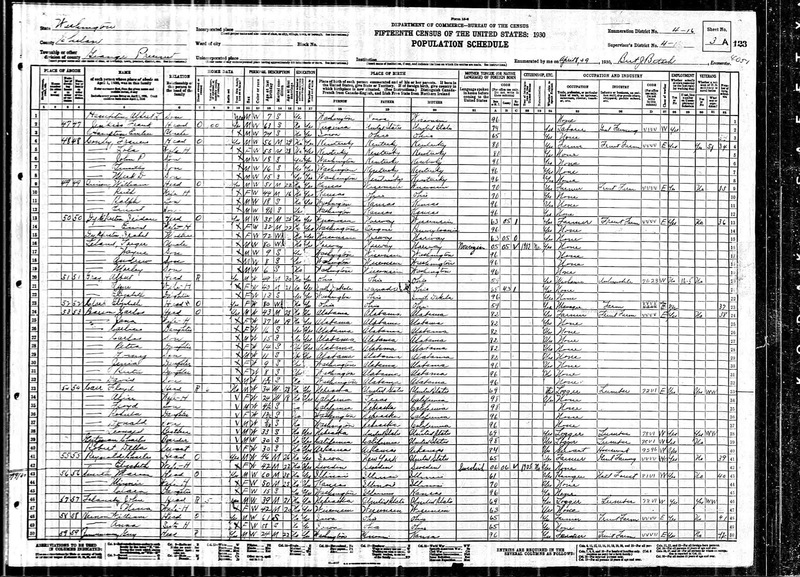 1930 United States Federal Census, Chelan County, Washington, population schedule, Grange Township, Enumeration District 16, Page 3A (stamped), Dwelling #50, Family #50, Isidore Dykkesten household; digital image, Ancestry.com (http://www.ancestry.com), citing National Archives Microfilm Publication T626, Roll 2484. 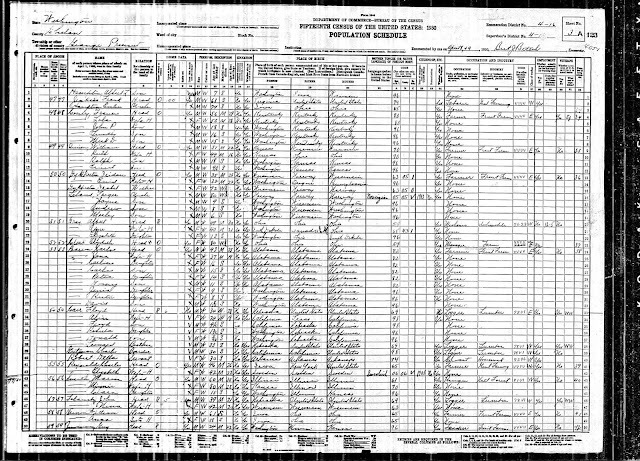 This is the last census with Torger Sjursen Leland included in the enumeration. He is living with his nephew, Isidore Dykkesten and his family, including Isidore's mother, Isabel Dykkesten, who is Torger's sister. Torger is indexed as Targer Leland on Ancestry.com. The year of Torger's immigration is given as 1902. That is clearly wrong - otyher census records place the immigration date in the 1850s. Because of the way that the enumerator wrote the names, the indexing of the three children is with the Leland surname. It is clear that the three children are the sons of the head of the household, Isidore Dykkesten. I added an alternate name to the census record summary for each child. Torger Leland (1850-1933) is my wife's great-grandfather, through his eldest son Severt Oliver Leland (1878-1940).